The new ABJET 330: impressive performance, safety, maximum comfort, and unprecedented quality. They’ve done it again. 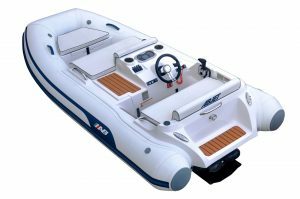 AB Inflatables unveiled their new ABJET 330 at the Fort Lauderdale (Florida) International Boat Show 2017 (#FLIBS), leaving all those who had the opportunity to see and enjoy its boating experience open-mouthed. 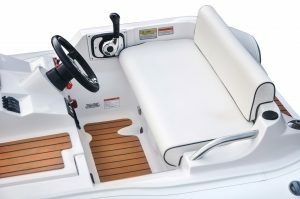 This is another step ahead for the American brand in their quest to manufacture the best semi-rigid boats on the market. 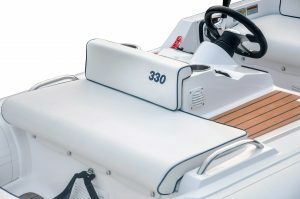 The new ABJET 330 is different from any other semi-rigid boat you will find on the market today. Designed to delight even the most discerning users, the Abjet 330 from AB Inflatables is on its way to dominating the field thanks to its impressive performance, luxurious styling, comfort, safety, and the unmatched quality craftsmanship for which AB Inflatables is recognized worldwide. 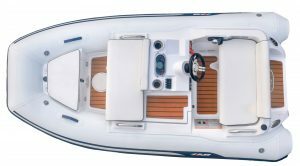 The new ABJET 330 is a true reflection of the desires of AB customers. 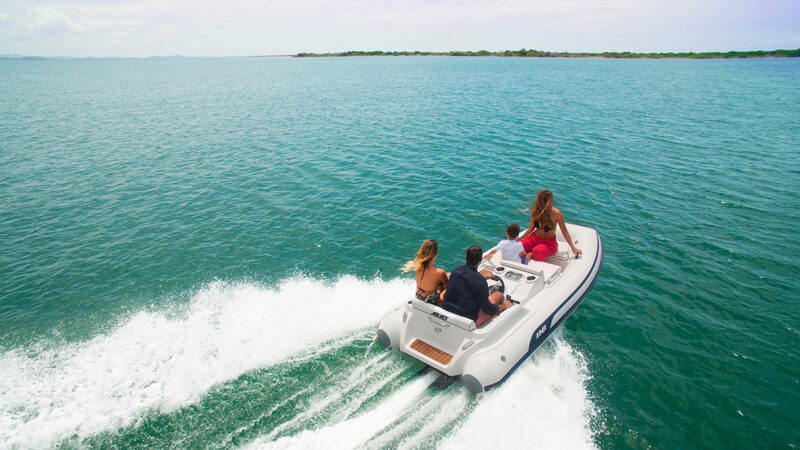 With just a glance, the RIB reveals an ergonomic design ideal for an extremely pleasant and totally safe journey. 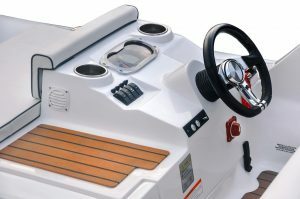 Its great manoeuvrability, coupled with the two spacious and comfortable positions of the pilot’s seat, comfortable footrests, and a flat floor for easy loading and safe access, are just some of the details that will make anyone on the ABJET enjoy the boat to the maximum and feel truly comfortable while on it. 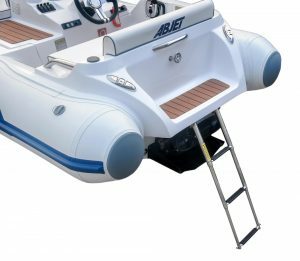 It should be noted that the ABJET line has been tested by Bombardier Recreational Products (BRP) and they have verified the installation and performance of the engine. 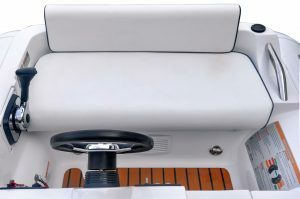 In addition, in order to meet the most demanding expectations of their customers, AB has provided the boat with the dynamics and engineering necessary for stable sailing, regardless of how many people are on board. Once the presentations have been made, Yacht Center Palma (the exclusive distributor of AB in the Balearic Islands) will invite you to discover more about the new 330. Contact us for more information or reservations. © Copyright 2016 ycpblog - All Rights Reserved.